Carefree Airpark Estates is a "gated golf community" located in beautiful Carefree, Arizona. 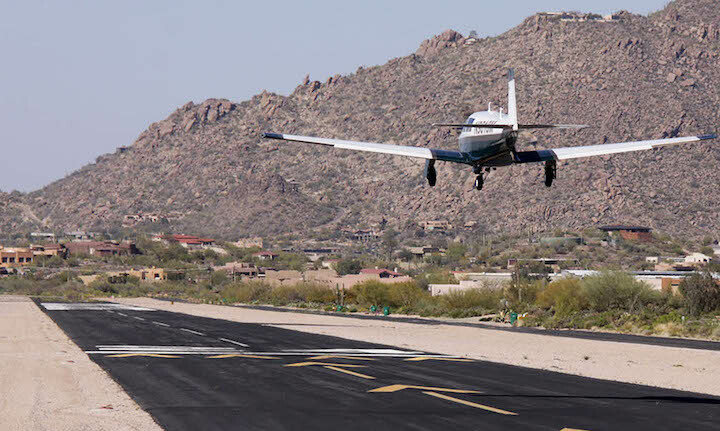 What sets Carefree Airpark Estates apart from the other communities is the "runway access". Nothing exudes luxury like having your own plane parked at your own house. Homes in Carefree Airpark Estates enjoy the best of both worlds with not only runway access but also back onto Skyranch's top 100 Desert Forest Golf Course. Below are all the homes for sale in Carefree Airpark Estates. Our Russ Lyon Real Estate experts can guide you through any home you see here and help with your search for the perfect home in Carefree. For a private tour of any home you see here contact us at; 888-316-4622.